BY AIR Halki does not have its own airport, but is well served by the nearby Island of Rhodes, which has its own International airport (Diagoras) airport code RHO. There are direct flights from most of the UK airports to Rhodes during the Summer season, and many chartered and scheduled services to many of the main European airports. A taxi from Rhodes airport down the coastal road to Kamiros Skala will take about half an hour and cost approximately 40-50 euros. At the harbour side there are several restaurants in which to have a refreshing drink or a meal while waiting for the ferry. 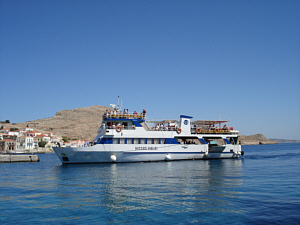 By Ferry There are three local ferries which together run a service between Halki and Kamiros Skala. 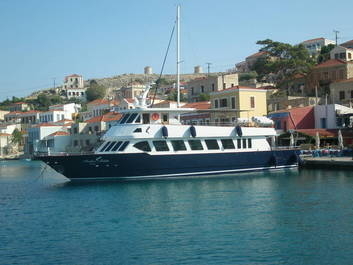 The Nikos Express and the Nissos Halki. The journey time is about 1 hour and 15 minutes and it will cost approximately 10 euros. 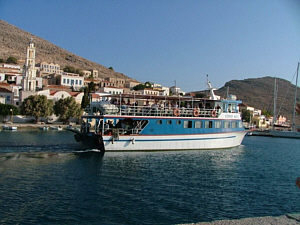 There is also a water taxi that runs a morning and afternoon service to and from Halki costing approximately 12 euros and taking 40 minutes. 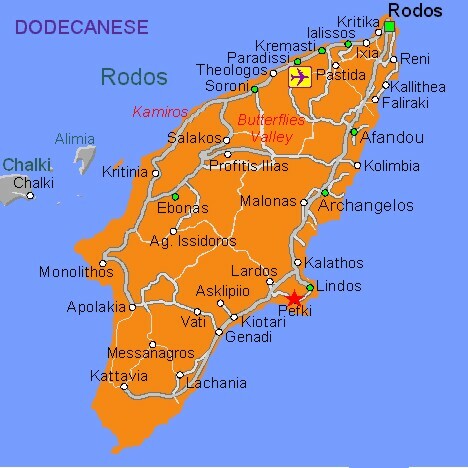 If you are travelling from the UK by plane on a Wednesday it is wise to aim at arriving in Rhodes by about 3.00pm. 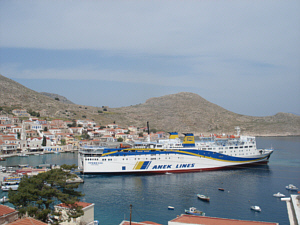 This means that you should be in good time to catch the late afternoon ferry from Kamiros Skala. Later flight arrivals may mean that you will mean to spend a night in Rhodes. There is accomodation available at Kamiros Skala and we would be happy to assist you in booking a room. 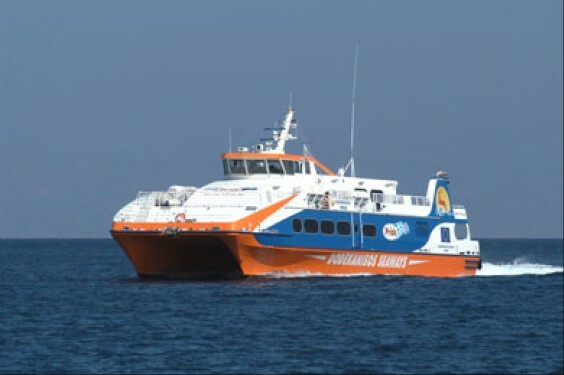 Dodekanisos Seaways also run fast and efficient catamaran services between Rhodes and other Islands in the Dodecanese some of which stop at Halki. Their schedule can be found at http://www.12ne.gr If you have any questions or would like any help with any travel components of your journey, please call or e mail us and we will be happy to help.